Built in 1820, Aswarby Rectory is a beautiful, exclusive use country house wedding venue situated in stunning open countryside on the edge of the small and attractive Estate village of Aswarby, with traditional parkland at its core. The majority of the properties surrounding it are character listed properties including the Grade I listed St Deny’s church, to which there is a private woodland walk. Aswarby is situated close to the main A15 trunk road linking North and South Lincolnshire and only 15 minutes from the A1 making it a very accessible location. The market town of Stamford is only 30 mins south whilst the cathedral city of Lincoln is 30 mins to the north. The large towns of Grantham and Sleaford are only a short drive away meaning there is plenty of extra accommodation nearby. 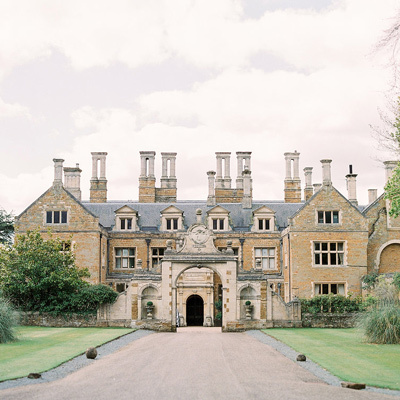 Only recently opening its doors, Aswarby Rectory offers weddings a home-from-home with a simplistic approach and a focus on the natural beauty of the setting. 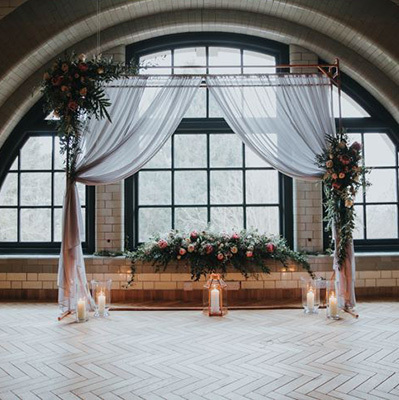 A beautiful, exclusive use, country house wedding venue, their style is stripped back and rustic with an emphasis on understated style and simplicity. You have exclusive use of this intimate 200 year old Rectory as your very own country house for the duration of your stay, with capacity for up to 80 daytime guests and a total of 120 evening guests. Surrounded by the prettiest estate parkland and 9 acres of private gardens and paddock land and flanked by giant Oak Trees and Lebanon Cedars, the house has a charm that is hard to find. With the option of both an indoor or outdoor wedding ceremony, Aswarby Rectory is guaranteed to leave you swooning. Imagine an intimate Autumn wedding, where you can say ‘I do’ by the fireplace… Or perhaps you adore the thought of tying the knot in a romantic walled garden. There is even a private woodland walk to the Grade I Listed St Denys Church right next door. When the night is drawing to a close you can enjoy the house and all eight of its bedrooms, including an elegant Bridal Suite, with your nearest and dearest until the sun comes up. With a completely bespoke approach to your day you are free to plan a wedding here that is unique to you, and their no corkage fee policy and supplier flexibility is a breath of fresh air. Aswarby Rectory is a fine jewel to be found. Owners, Richard and Donna, have done a truly amazing job refurbishing a characterful wedding venue and I was excited that my daughter’s wedding was the first to be held at the venue. Not only is the venue overflowing with character, being set in beautiful grounds; but what made our day was the attention to detail and the genuine care and concern shown by them to make sure every detail was perfect. It’s all too easy for the owners of wedding venues to be unattached and distant, but Richard and Donna embraced our day and went out of their way to make sure everything was as fantastic as it could be. I have no hesitation whatsoever in recommending Aswarby Rectory as a perfect wedding venue. We were thrilled with how everything went, thank you so much for everything. The whole day was just perfect and everyone is still talking about the day - it’s all quite sad that it’s all over after all the months of planning. The venue is simply stunning, enhanced by the most gracious, welcoming and humble hosts. We really couldn’t have asked for more!